Recognized as one of the top art museums in the country, the Detroit Institute of Arts (DIA) offers over 100 galleries and hosts a variety traveling exhibits each year. 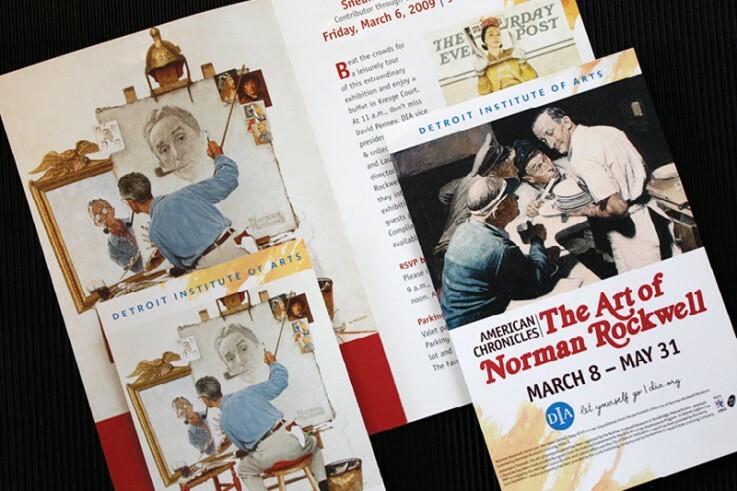 In 2009, the DIA contracted with Olmsted Associates to help promote its latest traveling exhibit, American Chronicles: The Art of Norman Rockwell. After creating its own Rockwell-inspired exhibition logo and branded look, the Olmsted team carried that through all of the print collateral materials, which included invitations, rack cards, print ads, direct mail, posters and more.